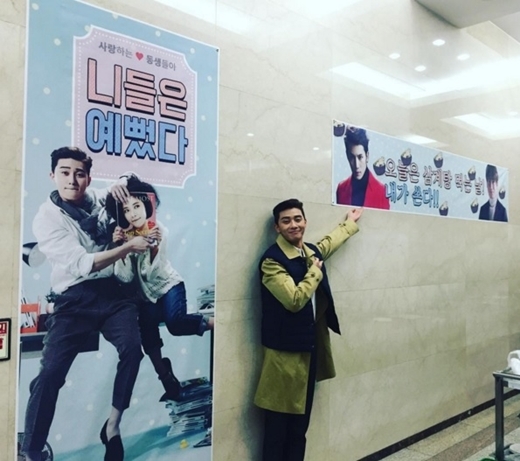 Ji Sung sends over a food truck to his ‘She Was Pretty’ dongsaengs! Aww! How sweet is this! Ji Sung and Lee Boyoung have a history of sending each other food trucks, and supporting costars in their other works and now it’s Ji Sung’s turn to send his “brother and sister” one! He chose the menu carefully and arranged things such that it wouldn’t interfere with the filming. Samgyetang is ginseng chicken soup so he’s looking out for their health.